Considering popping the question on Valentine’s Day? Here we look at some of the tax breaks married couples can benefit from and how it can pay to get hitched. 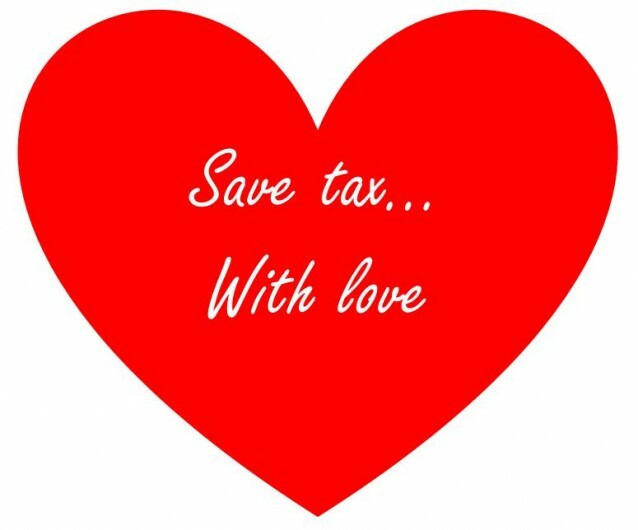 The Marriage Allowance can enable eligible married couples and civil partners to save up to £230 of tax a year. And despite being introduced almost three years ago, many eligible couples are still missing out on this tax break. The relief is designed to benefit couples where one spouse has insufficient income to make full use of their tax-free personal allowance (£11,500 for 2017/18). Where the couple meet the qualifying conditions, the spouse with the unused personal allowance can elect to transfer 10% (£1,150) of the allowance to their partner, offering a tax saving of up to £230 for 2017/18. It is also currently possible to backdate the claim to 6 April 2015 (the date the allowance was introduced), to obtain an additional tax saving of up to £432. The transfer can only be made if the spouse who receives the transferred allowance is a basic rate taxpayer, meaning that for 2017/18 they would normally need to have an income of no more than £45,000 (or £43,000 if you are in Scotland). If you are married or in a civil partnership, then anything you leave to your partner is generally free of inheritance tax (IHT). Whereas bequests to others (and lifetime gifts made within seven years of death) attract IHT if the value of your estate exceeds the nil rate band (NRB) which is currently set at £325,000. If your spouse or civil partner passes away you can also inherit their unused NRB (known as the transferable nil rate band), potentially allowing you to pass on up to £650,000 of assets to the next generation without incurring IHT. In addition, the residence nil rate band (RNRB) was introduced in April 2017, starting at £100,000 per person and set to increase to £175,000 by April 2020. Like with the NRB, if the conditions are satisfied it should be possible for any unused RNRB to be transferred to the deceased’s spouse or civil partner’s estate. If an individual sells an asset (such as property or shares), they will pay capital gains tax (CGT) on any gain in excess of the annual exemption, which is currently set at £11,300 (2017/18). However, as both spouses have their own CGT exemption, with careful planning assets can be transferred so that effectively a couple can realise gains of £22,600 before CGT is payable. Usually when an asset is transferred from one owner to another this can potentially trigger a CGT liability; however this does not apply when switching ownership between spouses. By transferring assets between spouses, it can be possible to make use of a spouse’s lower tax rate or unused annual exemption. It is important that tax advice is sought prior to any asset transfer or sale as there are pitfalls to avoid and there may be reporting requirements. To be effective for tax, the transfer to your spouse or partner must be a genuine outright gift. If one spouse pays a lower rate of tax than the other, then assets can be switched so they are owned by the lower earning spouse. Similarly, having your spouse as a shareholder or director in a limited company can help with tax planning – allowing you to maximise your available allowances and potentially pay tax at lower rates. There are of course risks in giving assets away to unmarried partner – if you later split, they will legally own these assets and can walk away with them. In addition, there is anti-avoidance legislation that states that if you give assets away you can’t derive any benefit from them, but this does not apply to married couples. For married couples and civil partners who hold a final salary scheme, the surviving spouse will typically receive survivor benefits based on the final salary pension that has been built up by their partner, however this does not necessarily apply to couples living together. Each scheme sets its own rules and the wording of the particular scheme needs to be looked at. Some schemes stipulate that it can only be paid to someone who is financially dependent, whereas others will allow you to nominate a partner. With regards to money purchase schemes, these are much more flexible, but do require you to complete an expression of wishes form to ensure that the nominated beneficiary receives the the benefits in the event of death. Ultimately, the decision about where the benefits are paid rests with the Pension Trustees. If you would like further information on any of these areas outlined above, please do not hesitate to contact us.